I’ve truly never been more proud of a performance or a routine that the team choreographed nor been so anxious to share the footage with you all. a month or so ago, Danny was sleeping at my house one night and he came into my room excited after waking up to a call from jeremy green before me that next morning, stumbling over his own words danny told me to call Jeremy myself ASAP. I called him and he told me he wanted lotustyle to put together a piece for his benefit show “Behind the Movement: Refuge” and then i was speechless myself lol. We were super honored to be asked to do that for Jeremy after learning from him over the past year and him being such an influential mentor to us. For a couple of weeks, we spent a lot of time strictly for planning. Around the same time, I was wrapping up production on “freudian” and actually Danny, Myself and Rachel Harris (a good friend of mine that i grew up dancing with at the same competition studio) we got together earlier that year and co-choreographed the choreography for the blessed video that went into the short film. Danny suggested that we revamp that choreo a little and choreograph and stage the rest of the song on a bigger batch of dancers and I thought it was a pretty good idea to fit the theme of the show that Jeremy wanted us to abide by. We did want to do a group piece originally, but over time even days before the show itself we lost our dancers one by one to other last minute life things or prior commitments that switched up and really just sheer bad luck I guess. for a second we had about 3 out of the nine people we started with, including Danny and I and we really didn’t know what to do next. Jeremy comforted us in our crazy situation and gave us some good insight and suggested that we try our best to restage the dance to fit just us three before the show on Sunday: which realistically was about 48-72 hours away. crazy haha. Somehow we pulled it together in the studio late Friday night, drove to Atlanta the next day and then the show was on Sunday. Ran our tech rehearsal Sunday morning and before the show even started or even the final dress run for that matter, we received a lot of amazing feedback that was super reassuring to the problems we had just been having. It’s still hard to believe that our audience, Jeremy, the other dancers and choreographers from the show felt so moved by our piece and even those that knew about the craziness said the piece as a trio was so much more intimate and powerful. This was such a crazy weekend and a crazy process but ironically, this is the most content I’ve felt about anything our team has produced for our audience. So, please please please enjoy this footage of our dress rehearsal of the dance with a long story attached to it haha. Thank you to Jeremy for this opportunity to share in front of the Atlanta Dance Community, we’re so inspired by you constantly and i’m sure the rest of the community definitely feels the same. From the 2018 Behind the Movement Showcase “Refuge” produced by Jeremy Green and 411South Talent. You can donate to Jeremy’s non-profit cause to raise money for young artists in need of financial support down below. Going into the film, I honestly did not know what to expect, but there were a few things I had to keep in mind: a good friend put his heart and soul into this, this is a story that’s told mainly through his choreography, and that this is a student film. However, I must say I was blown away. Not that I ever thought it would be mediocre; I just was amazed at the artistry that was dripping from the screen, largely due to the vision of Jonathan Davis. This is the perfect example of a passion project. It’s not a dance movie accentuated by a thin plot, it’s actually quite the opposite: a beautiful personal story that is accentuated by original choreography. It is pretty remarkable how much is conveyed in the short time of 20 minutes. If i’m being honest, Davis explained to me what feeling at age sixteen each dance was meant to project, and so I made sure to observe and see if I’d have been able to pick up on those concepts without those preconceived notions, and while I’m sure this is up to the audience at large, I feel visually and musically that the film manages to give you everything you need without dialogue. My personal favorite dances were Wonderful Everyday and Wake Me Up. Of all of the scenes, these two really felt so driven with emotion that I became a bit emotional. 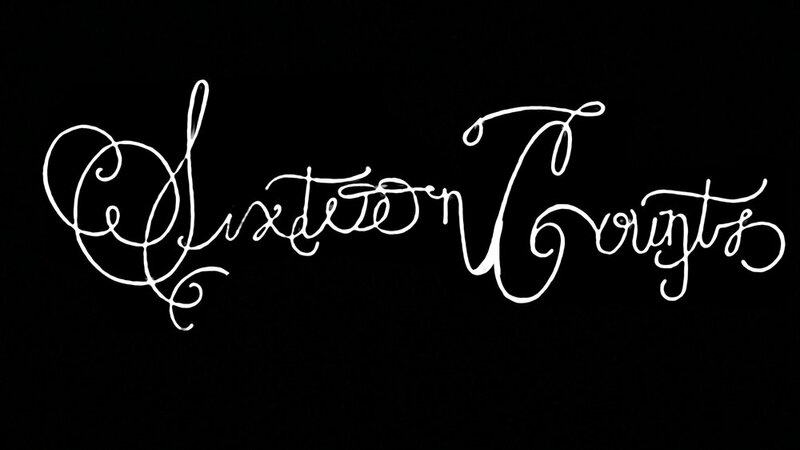 All together, ‘Sixteen Counts’ is a masterpiece of a student film, and please trust me in my saying that even if Jonathan Davis was not a friend, I would be saying the same thing. It’s filled with creativity, passion, and masterful dancing by the whole ensemble. If you want to support student film-making, original film-making, and just a good way to spend twenty to forty minutes (in case you want to watch it again, of course). Go support the film on Jonathan Davis’ Site (jahnny-michael.com/sixteencounts). short & sweet: this is my late bday present for such an important role model and it took so long because I didn't know what to do/get and what better gift to get someone than public embarrassment. in all seriousness, sca is a very important part of our family & for the past 13 some-odd years she has given Kayla and myself something that money can't buy and creativity can't create - love. the bond between us and her is very mutual and we will always be thankful for her, I'm sure you can tell that in this video. happy (super belated) bday Trina lol. SO, following the success of our last lotustyle team video that went on to be acknowledged by Dance On and American Eagle - it's been a little while since we did another "lotustyle production"
One day I was scrolling through Instagram posts as we all do, and came across one of our friends Milan Hightower posting compilation of a bunch of artists I had never heard of, the unity between them all, they all were from Charlotte, or North Carolina at least. I started looking up all the different musicians and artists and one that particularly had me vibing the most was this rap artist from Charlotte, that practically grew up in the same neighborhood as me went to high school down the street from mine and goes by the name of Luther Nicholson but is better known as "Lute." 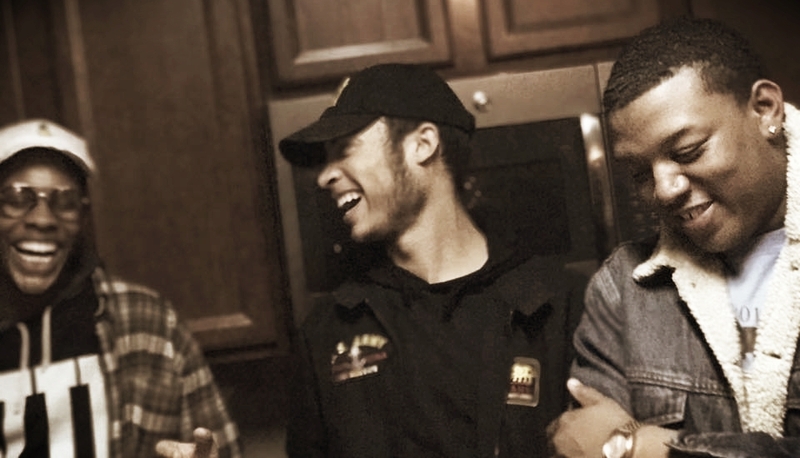 Instantly started rocking with his music and started comparing his flows to people like tribe and J. Cole (who also is an NC kid) and then come to find out, Cole actually found this kid and signed him to dreamville (J. Cole's record label) back in 2015.
the next day after rehearsal we shot the video with Andrew. and during our downtime between wrapping on the shoot and the plans we had that night, lute and his manager came and kicked it with us while we started to edit the video and talked to us about growing up here and his transition to the music industry. all around very cool humble guy. so needless to say, this video will always be very memorable to us as a team. not just because of us dedicating it to our home and seriously everyone that had a hand on this video is affiliated with North Carolina in one way or another, but because it gave us the opportunity to work with lute on this project and hopefully many more in the future. so I hope you guys really enjoy this piece because a lot truly went into the making of this and we hope it proves to be true. Recently (today's date is September 7th of 2017) I fully completed the dream passion project entitled "Sixteen Counts" but the film itself could use a little explaining still to those that watch before they watch. in mid 2015, I became interested in choreography as a whole but was intrigued to start trying out my own videos. This was actually when I had just choreographed Fine China long before even meeting Tyler or Danny let alone before the video was produced. Starting from the beginning, I started hunting videographers. No luck with that lol. It actually wasn't until we shot fine china that I pinned Edison down as my main director of photography, even then I was still completely unaware of what I was doing. quickly after fine china, I began brainstorming for a new longer project. It was supposed to read as a handbook to life through dance videos. Each Video represented a specific life lesson, one that I had enough information on to interpret to my audience what those life lessons entailed. It started as a list of songs that I drew connections from and songs I related to things in my life I had already been familiar with. I didn't have the time to attend to the project the way I wanted to. so I had pinned the writing at where I was at the time, and went on with everyday life. after my 16th birthday, fine china had been released and I had a tad bit of production experience. In December, Ian Eastwood a true inspiration of mine released "Adultlessons: the World's First Dance Mixtape" a project with similar intentions as mine that followed his transition into adulthood and highlighted lessons he learned through the people around him. It set off the dance community, and blew my mind completely but reminded me of the project I had started and was luckily not the same thing I wanted to do with mine. Per usual, Ian inspired me to keep hustling and create for the world. It was at the start of 2016, when life honestly began to take a turn for the worst. I was having a difficult time trying to determine who I was as well as the people around me and who was there around me through my hardships in general and as the artist I was trying to be at least, I took everything that started happening and translated it into the screenplay and as time went on this Witten piece of a project grew more and more, however it was still untitled. In July of 2016, I finished writing. solely because I felt like where I was and what I had was a good foundation to turn this into something visual. initially the project was called summer sixteen, because I for some reason thought that I would have that entire project done from start to finish before that summer ended and we were already half way through it, and hypothetically it could've been done with the right team and the right plan but I learned through this process the more time you put into something the more your work speaks it shows for itself - I mean think about it, this project took me a full year and eight months to complete. from writing to post production.... it's crazy. - anyway, summer sixteen was an idea and probably just an idea lol, I did some thinking and tried to relate a title to the main point of interest this film was birthed of in the first place - dance. After long periods of brainstorming, sixteen counts was born. the double meaning of sixteen counts of dance steps (there are definitely more than sixteen) and making sixteen count and making it worth its while. To Liam Pearce and Carlyn Head for theatrical art, To Tyler Cook and Hadleigh Painter for the editing help and to Alyssa Macomber for creating the title logo and for being one of the first contributors once production first began. Disclaimer: This is gonna be a hard thing to do. Very recently I said many goodbyes. The most important of them all, I said goodbye to the role of "Chad" in Northwest School of the Arts' production of "All Shook Up" by Joe Dipietro. Being my last spring musical as a senior oh boy was this hard. All Shook Up is the comical tale of Romance and Music, told through nothing but Elvis music. It's the story of a small town girl (Elvis not Journey Jonathan) named Natalie being surrounded by depressed townsfolk in this small faint town where Rock & Roll is against the law, until the arrival of Chad the guitar playing, hip swiveling roustabout, when he begins to turn everything completely upside down, and by doing so influences everyone around him to fall stupidly in love with each other including himself. This show was a beautiful experience to have been a part of and from the bottom of my heart *Inhale* Maya Sistruck, Rixey Terry, Renee Rapp, Liam Pearce, HK Wall, TJ Kapur, Brennen Johnson, Zach Morrison, Carman Myrick, Corey Mitchell, Matthew Hinson, Bonnie Fraker, Emily Hunter, Amelia Binford, Cast, Crew and Band... thank you for the love. I literally will never forget this. My note to every non-senior musical theatre major since I couldn't qualify for a four year speech lol... Embrace and cherish. Embrace your gift. Cherish your friends. Embrace new obstacles. Cherish these years in front of you. Embrace difficulty. Cherish the love, forever. All things shall return eventually, however time will not. Seniors: Let's walk that stage lol. NO. 4 | IT COULD BE "WONDERFUL EVERYDAY"
A quick look inside the film process, for those of you who have been wondering. Friday: 7:30-10:30 rehearsal Sunday: 10:00-12:30 final rehearsal, 1:00-4:00 Shooting. In some cases our time was very limited and I was a bit frantic on getting this completed because of last minute cancellation problems and things like that. Luckily, I was able to count on these 5 (and Danny) to bring their best A-Game and make this the best it can possibly be. To Alyssa, Kristen, Brooke, Sheridan and Naijha. I'm very thankful to know you and I'm more thankful of the work you put it in with me. Thank you from the bottom of my heart. Here are a few behind the scenes photos taken by Danny Jimenez and Colored by Yours Truly. If you know me at all, you know that I am a big fan of things before they become bigger than they are or necessarily things that aren't at the hype in pop culture or media in general, whether that be different types of music and their artists or dancers and their work. With that being said, allow me to shed some light on this subject. For those of you that don't keep up with my YouTube world, first of all... SHAME ON YOU. Lol jk check me out please :). Secondly, Most of my recent and most popular projects feature two of my closest dance friends, Danny Jimenez and Tyler Cook (I.E. see blog post below for other types of friends). About a year and a half ago, us three started hanging together and rolling to whatever masterclass or workshop was in town at the time, and in a nutshell for predominately all of 2016, most (really all) of the training we were getting was together. Recently, Tyler after going to Monsters Hip Hop Dance Convention in Atlanta for the 3rd or 4th time I think, was nominated as a "monsters nominee" Which is actually A REALLY BIG FLIPPING DEAL. The other day while editing a video I DP'd for him, I truly realized "This is not the same kid I met almost two summers ago at a hip hop intensive" and LITERALLY I have never seen such growth out of anyone as a dancer the way I have through him, which is something I even noticed a few months into our friendship. When I met Ty, Danny (who I had known for a while before then) originally introduced us to each other over the summer, but little did we know, being competition dancers has actually put us in the same building, venue, even dressing room for that matter PLENTY of times before. When we met, first couple of things I realized "This kid has a dope style of hip hop that's very similar to mine, kinda shy, lowkey timid when it comes to freestyling." A year and a half later, he has grown to be one of my best friends, his adaptability is very versatile when it comes to picking up other people's choreo, his style is WAYYY better than it was before, his musicality is incredible, and he's only a smidge less scared to freestyle when we throw him on the spot than he was before, lol but even when he is freestyling, THE KID IS GOOD OH MY GOSH! So in conclusion, this kid (Tyler and realistically this dope generation) is currently on the way to take over the dance world, and I couldn't be prouder, and Just think... a year ago we were taking classes in the back tryna keep up with everyone else, so start hustling and I advise you to follow him on the rest of his journey. So, I'm happy people like the website, that really means a lot! Sighhhh. Anyway, for my second blog post I want to address something very important to me, or some people that are very important to me. The title pretty much gives it away lmao. For over the past two years (although it's felt like so much longer) I've shared the best friendship with these two gentlemen below. Matthew Pitts and Jordan Ingram. Together, we metaphorically make the three musketeers lol. These fellas mean the world to me, "Tell Us Why Jonathan" I will imaginary crowd but first here's a picture of us. I Met Matt, the summer of 2010, when both of us were doing theatre intensive summer camps and that summer just happened to be the year we did "The Wiz" together making that the first show we've ever done together too. Since then, coming up on this summer I will have known him for a full seven years. Ingram on the other hand, I met when I was a sophomore in high school and he and Matt were seniors, our friendship trio began while we were in the rehearsing process of our 2015 Fall Musical "RENT" and fun fact: us three together formed the infamous music group known as "Millennium" that year... don't ask lol. As 2016 comes to a bittersweet end (and I truly mean bittersweet), I'm honestly grateful with all the things that this year has brought to me, whether they be positive or negative. They all were necessary in creating the year I've had. As a dancer, MANNNN where do I even begin! This year and the end of 2015 as well, while keeping up with my competition dance training I took a spin and became very interested in industry work and dancing that's not just performed on a competition stage. Saying this I mean, at the very end of 2015, a group of friends of mine and myself were offered jobs to dance back up for a local artist that just moved to charlotte at the time. I mean, wow haha. Not only that, but along the journey of performing with said artist, we've been offered many jobs such as live performances, concert tours and lot's of different music videos. Since I joined the "Brayden Taylor" Project I have performed in various cities in the state of North Carolina, danced in the Music Video for his first radio single "Make Me Wanna Say," co. directed and starred as an actor in the music video for his second radio single "Luv U Down" and has gradually become one of his best friends. Bro, if you're reading this IJTYBATNYCDAI... I mean thanks for the memories, let's keep making em! Besides my contribution to dancing for local artists, I still kept up with continuing to produce my own YouTube videos as well. However, never was I able to just star in one before, well... NEVER SAY NEVER... he said over enthusiastically. During my spring break of 2016, some dancers from my studio were selected to be in a concept video to promote the studio as a business and influence other kids/parents to take interest into what we have to offer. Without completely diving, it was easily one of the coolest experiences I think I experienced this year, and when they asked for more guys my homie Tyler Cook even got to live it with me. *Exhale* SO, in laymen's terms, This year I didn't just competition dance. As a singer, I think as a singer, or even as a musical performer in general, this year has really broadened my horizons on my musical sides. The end of 2015, brought our fall musical at school "In the Heights" where I was lucky enough to be able to portray the role of Sonny, then to the beginning of 2016, I participated in my first "cabaret night" which basically was a night at school where predominately musical theatre students get to dress up all nice and fancy and sing songs we weren't given the approval to sing in class (should they approved for this).... yeahhh. Anyway, for that event I sang Piano Man by Billy Joel and honestly it was one of the greatest solo performances of my singing career and I say that because of how comfortable I was and for realizing how much singing was there for me and just my connection to music in general. As a "Director," that's a new one for sure. So, producing countless amounts of random YouTube videos made me realize something. "This s**t is cool!"... sorry mom. From my first video shoot ever to a Chris Brown track, to my most recent release up to date, the art of directing and editing and producing visuals and just camera work in general drew me into making this another hobby or interest really. My Directing, hopefully, will show it's strengths with the release of my short film "Sixteen Counts" on April 14th, a film about the hardships I had to face being sixteen years old such as Self Acceptance, Relationships, Break-Ups, Rumors, Depression and most importantly Friendship. So yeah, directing WOO! So as we await the arrival of 2017, I leave this with a quote by Lin-Manuel Miranda "Everyday has the potential to be the greatest day of your life." Happy New Year!